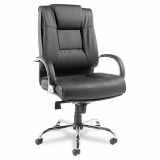 Alera Ravino Big & Tall Series High-Back Swivel/Tilt Leather Chair, Black - Designed to provide maximum support and comfort to the big and tall user. 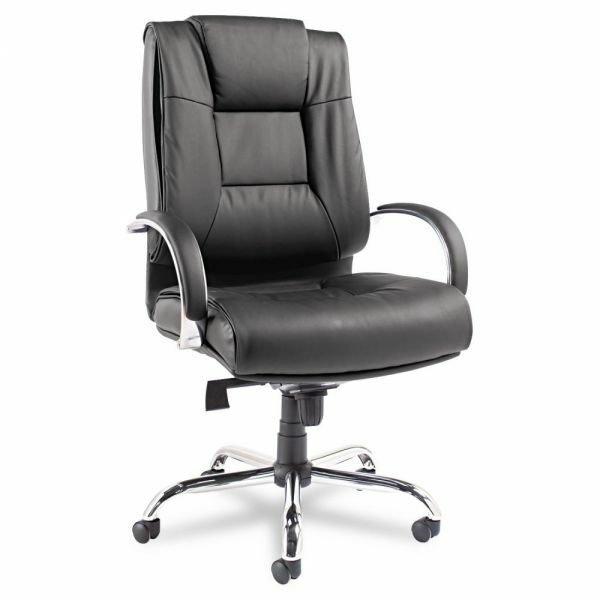 Plush pillow-top seat and back for luxurious comfort. 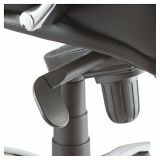 Open loop aluminum arms with padded armrests. 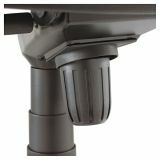 Chrome-plated five-star base with nylon casters for easy mobility. 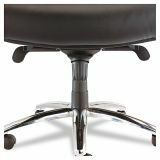 Casters supplied with this chair are not suitable for all floor types. Alternative casters are available to meet your specific needs.